Washington – Today, Congresswoman Cheri Bustos, the sponsor of the bipartisan Ending Forced Arbitration of Sexual Harassment and Discrimination Act, responded to Facebook, Google, Airbnb and Ebay’s decisions to end forced arbitration in cases of sexual harassment . 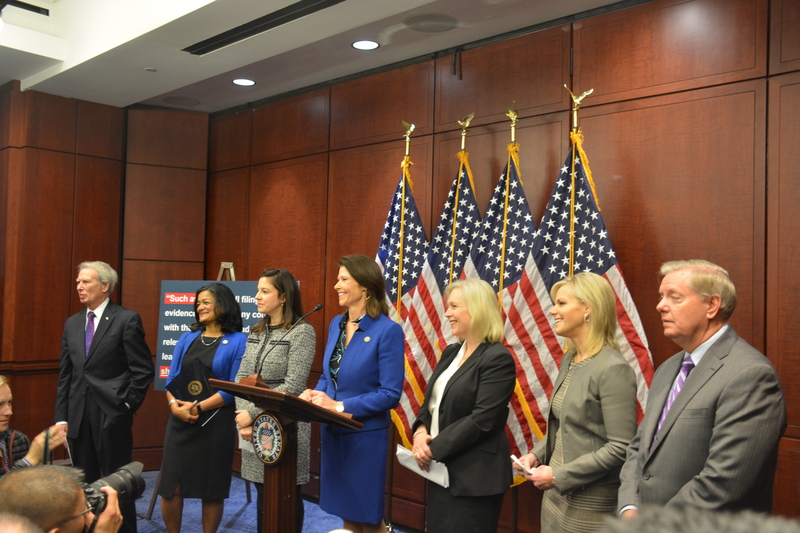 In December, Congresswoman Cheri Bustos, Senator Kirsten Gillibrand and a bipartisan coalition of leaders from the House and Senate introduced the Ending Forced Arbitration of Sexual Harassment Act of 2017 which would allow survivors of sexual harassment or discrimination, who are subject to forced arbitration clauses in their contracts, to opt out and instead take their cases to court. Shortly after introduction, Microsoft, Uber and Lyft moved to end forced arbitration of sexual harassment. Later in February, Bustos published an op-ed in the Hill where she called on Speaker Ryan to allow a vote on her bipartisan bill. And in the year of the women, Bustos plans to continue fighting to ensure the voices of working women across our country are heard.